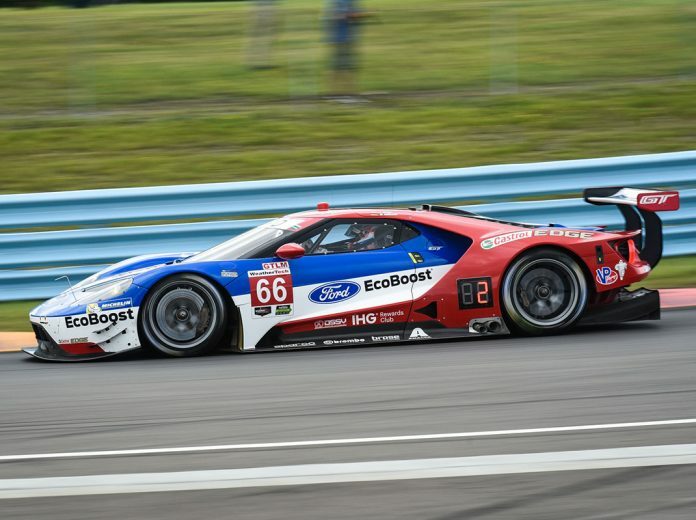 WATKINS GLEN, N.Y. – A rapidly drying Watkins Glen Int’l circuit provided an entertaining battle for the GT Le Mans class pole Saturday in qualifying for the Sahlen’s Six Hours of The Glen. BMW, Ford and Porsche swapped the top spot eight times over the final five minutes of the 15-minute session. In the end, it was the No. 66 Chip Ganassi Racing Ford GT of Joey Hand who crossed the stripe with the fastest time of 1 minute, 42.507 seconds on the session’s final lap. The pole-winning lap came just seconds after Alexander Sims put down what eventually became the second fastest lap of the session, 1:42.813, in the No. 25 BMW Team RLL BMW M6. “I love qualifying here,” said Hand, who picked up his 10th career IMSA pole. “Especially since they paved it, it’s super fun to drive. You’ve got to throw down; hang on and throw down. I was able to get just a full lap to finish and got it by just a little bit of a chunk. Ford and BMW also will make up the second row for tomorrow’s race. Martin Tomczyk qualified third after a lap of 1:42.881 in BMW Team RLL’s No. 24 BMW M6, just 0.003 seconds ahead of Richard Westbrook in the No. 67 Chip Ganassi Racing Ford GT, 1:42.884. Patrick Pilet, who led multiple times throughout the session, rounded out the top-five with a lap of 1:43.140 in Porsche GT Team’s No. 911 Porsche 911 RSR. The Sahlen’s Six Hours of The Glen is Round 3 of the Tequila Patrón North American Endurance Cup. The No. 911 Porsche GT Team and No. 66 Chip Ganassi Racing Ford GT enter the race tied for the points lead in the four-race endurance competition following the Rolex 24 At Daytona and Mobil 1 Twelve Hours of Sebring Fueled by Fresh From Florida. One race after scoring its first win in IMSA WeatherTech SportsCar Championship competition, Acura picked up its first TOTAL Pole Award in IMSA GT Daytona competition Saturday in qualifying for the Sahlen’s Six Hours of The Glen at Watkins Glen Int’l. 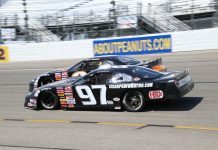 Andy Lally lapped the 3.4-mile circuit in 1 minute, 46.051 seconds, putting the No. 93 Michael Shank Racing Acura NSX GT3 he co-drives with Katherine Legge to the top of the class charts just before a red flag shortened the 15-minute session by two minutes. 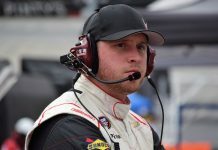 A native to Long Island, N.Y., Lally considers Watkins Glen his home track and this weekend sports a paint scheme of the Statue of Liberty in honor of the Independence Day weekend. 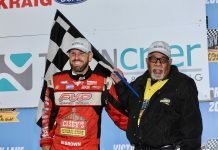 It was Lally’s second career pole at Watkins Glen, but his first in WeatherTech Championship competition. 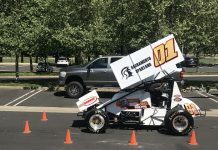 Lawson Aschenbach qualified second in Stevenson Motorsports’ No. 57 Audi R8 LMS with a lap of 1:46.271, with Jack Hawksworth third in the No. 15 3GT Racing Lexus RC F GT3. Hawksworth, on a hot lap with two minutes remaining in the session spun coming out of turn nine and suffered minor rear-end damage. 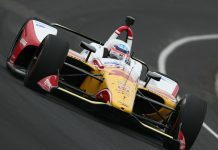 His teammate Sage Karam wasn’t as fortunate, however, losing control of the No. 14 Lexus seconds later in the same corner and made hard contact with the barrier. The incident brought out the red flag and an early end to the session.